As business owners, we all are obsessed with the idea of increasing web traffic, the life-saver for any online business. We spent countless hours formulating strategies to generate substantial leads so as to take our business to the next level. This brings into the picture the element essential to web marketing, call-to-action. For those who do not know, CTA or call-to-action is an effective tactic used to transform random traffic into dedicated prospects and contended customers. The topic under speculation today aims to exploit the feasibility of placing calls to action above or below the fold. Also, we will shed some light as to how calls to action can potentially influence conversion-rate, web-traffic and lead generation and the role CTA placement plays in the entire scenario. In an industry where web designers are well-versed with the nitty-gritty of using calls to action, things get pretty dicey when you come across too much of what we can call ‘templatification’. The realization that almost all new websites look strikingly similar is an issue to raise some eye-brows. 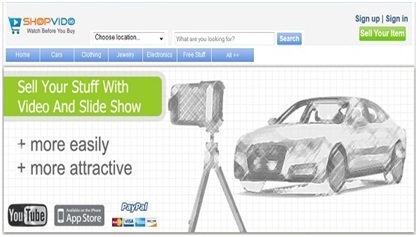 Let’s take a look at an example of technical websites of startup businesses. Don’t they all look like this? 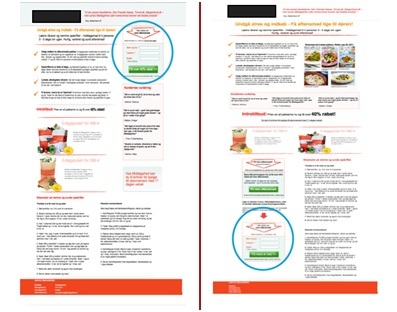 While some layman may fail to identify any similarities among the two examples listed above, the layout is, in fact, the same comprising of a headline, a few catchy words from the copy, a call to action button and an attractive image. All this is inserted with the first 600 pixels. Only the colors have been changed. Anyone with minimal knowledge of website designing would easily recognize that. Sometimes, web designers do give their creativity a chance. They flip the content. In order to keep things in full swing, they confuse as to which side the images and copy should go. Now the point made here is not this layout is inappropriate for these websites or that it shouldn’t have been used in the first place. The matter of concern is that it is sending out the wrong signals. 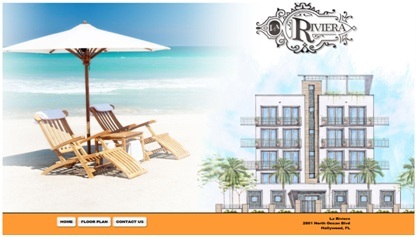 These layouts are manifesting the concept that call to action buttons or phrases should go above the fold. Web designers have worked with the ‘CTA above the fold’ concept for years. But what if these designers have been wrong all along? What if placing call to action phrases below the fold work wonders? What if you find out that you can actually secure significant improvement in conversion rates by merely changing the position of the call to action. On one hand, we have a website that secured a 20% improvement in its conversion rate just by moving their call to action phrases tucked at the bottom right to the top. On the other hand, we have Michael Lykke, the man behind Content Verve, who attributes his 304% lift to his smart decision of moving the call to action below the fold. If a call to action below the fold is getting only 20% attention of all the web traffic a website is receiving, how can it convert better? This is because only 20% of all website visitors go below the fold. According to a research conducted in the past, it was found that when it comes to advertisements, only 20% of people read the headline’s body. This was well before the advent of internet. To put it simply, one can say those who read the body are five times less than those who are concerned with the headlines only. Given the fast-paced society we live in, research has shown that in the last few years a rise has been observed in the readership of the first 50 words of the copy. There are only a few who read the full length of it. This provides valuable insight because 500 words with 75 character measure at 16 pixels or above and a line height of 150% will consume roughly 1000 px of the space vertically. This will put the call to action phrase or button far below the fold even in full high-definition resolution. This is, however, not a problem because there have been enough studies establishing the fact that users will make the effort to scroll down if what the content above the fold piques their interest to the point that they are persuaded to read ahead. influence whatsoever on the conversion rates. You may say that it was showed in examples above that call to action placed underneath the fold helped secure more conversion. Actually, the idea was to help you understand something else, and before jumping to that part, let’s take a look at an example. 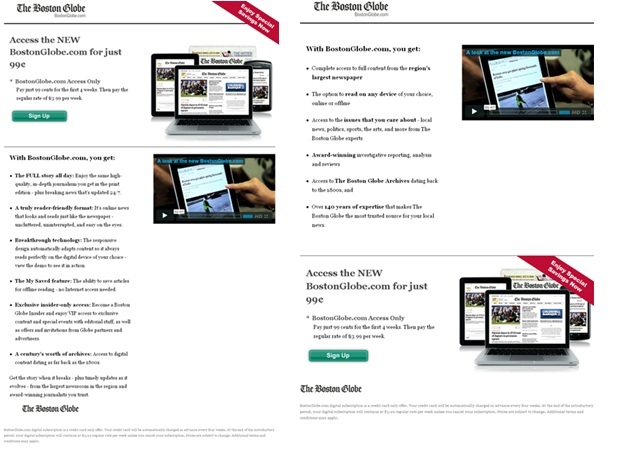 If asked, which of the two layouts will convert better, the one with the CTA above or below the fold? The answer is that it is a highly subjective question, but essentially there is no difference among the two. While this may not be something you had expected, you won’t be clueless now as to why the fold is irrelevant. There are several other factors that influence the conversion rates and placement of CTA above or below the fold is not on the list. Actually, it is only the motivation that matters. To what extent can you encourage a prospect to click a certain button? How useful your offerings were to a prospect when he was asked to click? 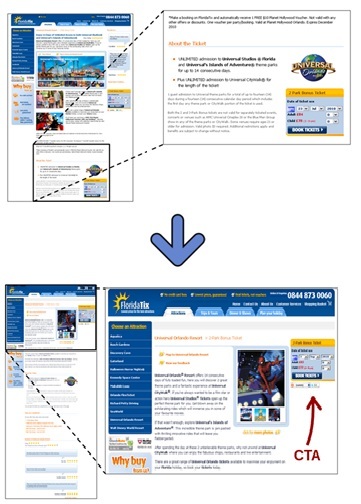 Simply put, in the examples above where it was shown that CTA below the fold converts better, the goal was to help readers realize that it was not the position of the CTA that made any difference, but simply that the prospects were keen and more enthusiastic to respond the CTA in the desired fashion once they had read the copy. 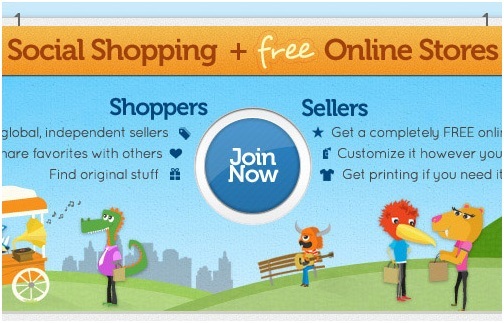 Higher conversion rates are not dependent on where you chose to position your button. It all boils down to having the right amount of compelling and convincing copy. If you are thinking as to how much copy is sufficient, it should not be that hard to answer because in the web landscape, there are only three combinations of offerings and prospects that exist. Prospects who know what they want and what you are offering upon arrival. In this case there is no point in stating the obvious. Visitors already know what they need to know. Give them the CTA at once to allow them to get done with the task at once. Unsure prospects and an offering they can easily understand and determine value of. These visitors will need only a little amount of clear and concise copy to convince them to respond to the CTA. Since there isn’t a need to provide a lot of information, the button can be simply placed above the fold. Unsure prospects and an offering that you need to explain the value of. Here, not only a clear but a very well-structured copy is needed so as to compel visitors to read from the start till the very end to the call to action. The amount of web copy you need will depend on how much your visitors already know and how much he/she further needs to know. It is obvious that in this scenario, the call to action will be below the fold. If you ask for a commitment before your prospect has properly understood the value of your offerings, you will end up nowhere. It will give visitors the wrong impression as you will be perceived as relentlessly pushy and sales pitchy. This explains why the fold is simply a myth. Because the question is not having a CTA the first thing a visitor notices upon arrival on your website. The need is to make the call of action visible at the point the visitor wants to take action. Bear in mind that you can tremendously improve your conversion rates. They say actions speak louder than words. Yes they do, but only when the copy is convincing enough. Desired response to the CTA can float your boat as a single click is all it takes for your business to claim the pinnacles of success.